Your dried product is precious but even more precious is your time and when a big harvest comes down, trimming it all can be a gruelling and daunting task. 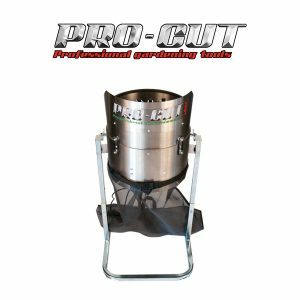 Take the strain out of trimming up your dried product by using the Trimbag. 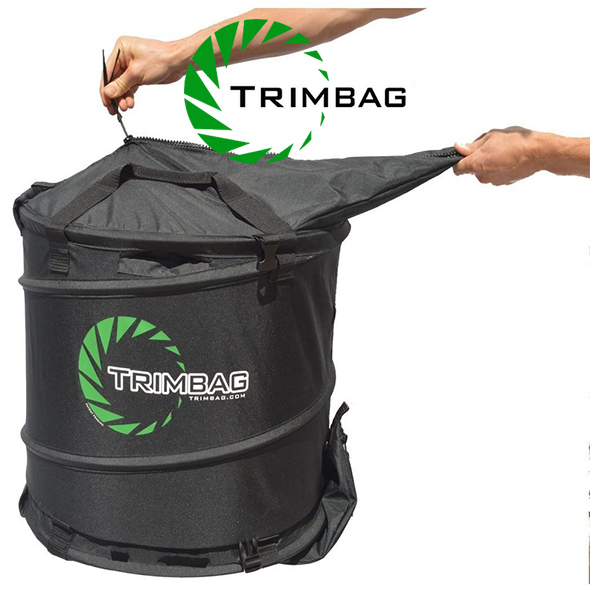 The Trimbag is an innovative way to remove excess leaf matter from your dried product by simply shaking it off in a few rotations, leaving you much more time to tend your indoor garden and saving you lots of finger ache and scissor blisters. 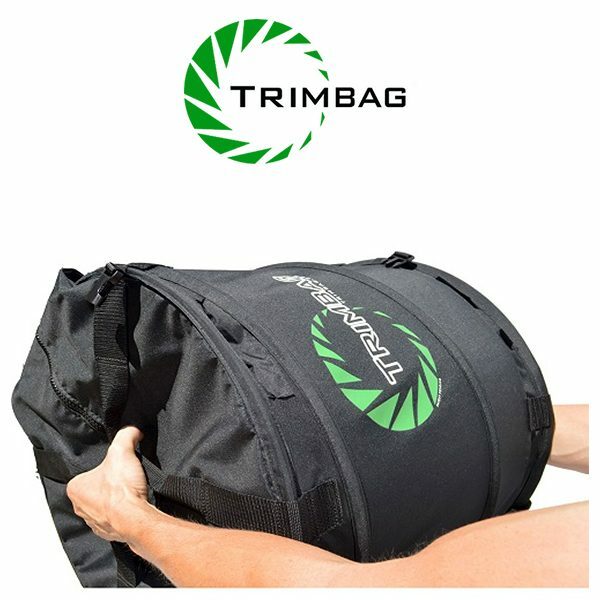 How the Trimbag works: With no moving parts the Trimbag works by friction, this is to say that the product has its leaf removed while rotating around the fabric drum. The gentle friction breaks off the very dry leaf matter after every rotation (as a rule 15-20 rotations is needed to de-leaf, dense product), this leaves you with two piles of material once it has gone through the internal screen, one being your waste, leaf product, the other being your de-leafed flowers. 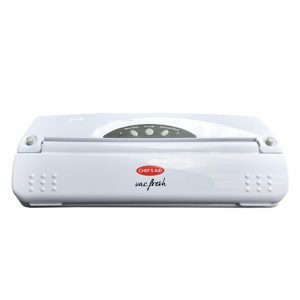 While the friction removes the leaf matter it keeps the vast majority of the essential oils intact, preserving the very best from your end product while cutting down your work load massively. 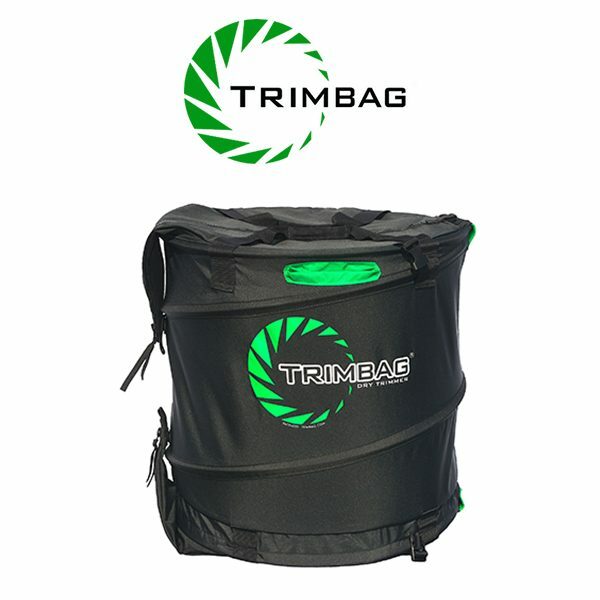 The Trimbag also features a handy carry bag for easy storage when folded flat or for transport to and from your grow area. 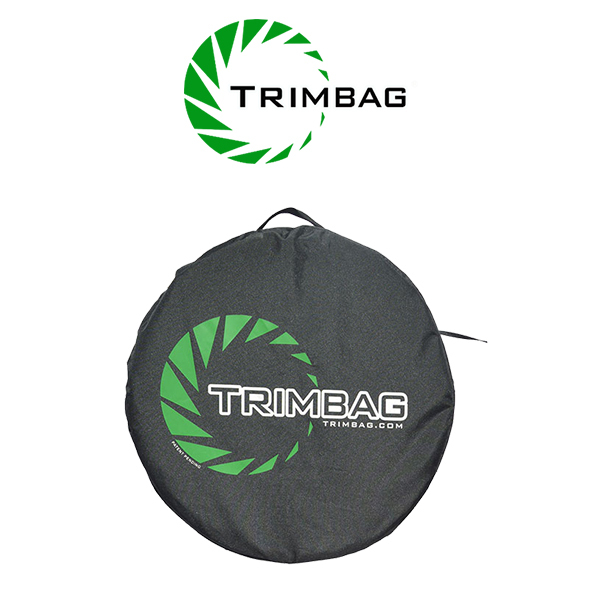 Cleaning the Trimbag is super easy as it simply needs a quick internal wipe down with a damp cloth after each use. 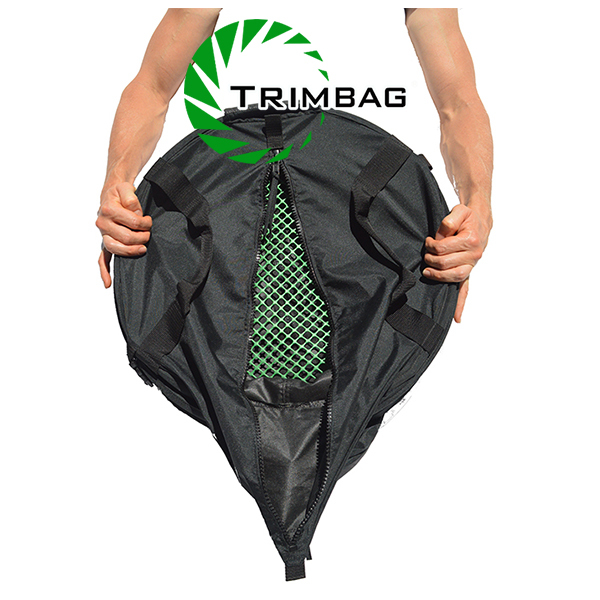 How to use the Trimbag: The Trimbag only works with very well dried product which has a solid density. 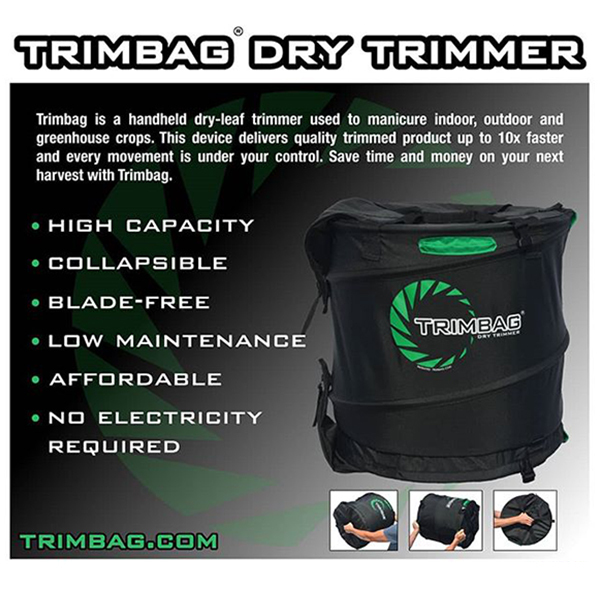 Any product that is even slightly damp and fluffy will not benefit from the trimming process as the Trimbag relies on friction to break away the leaf matter. Place your dried material inside the main, larger compartment and zip it up. 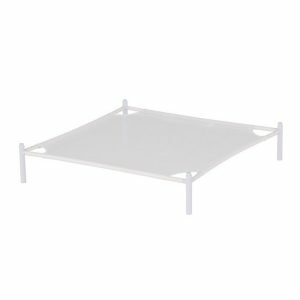 Rotate the Trimbag clockwise and counter-clockwise in quick succession, rotating an average of 15 to 20 times in total. Once your rotations are done place the bag down with the Trimbag logo the right way up and give it one final shake, this shake helps guide the leaf matter through the in-built screen and into the smaller, collection compartment below. Unzip the smaller compartment into a tray and dispose of it, re-zip up the smaller compartment and then unzip the larger compartment and pour your trimmed, finished product into a tray or bucket ready for curing.